The “middle” island of the Elafiti trio (geographically and size-wise, at least), Lopud is home to just over 200 people although is considered the most developed of the three islands. Its name stems from the Greek name for the island, Delaphodia, although it was also named Lafota by the Romans who did once have a settlement there. The island became part of the Republic of Ragusa in the 11th century. The island really only has one village, which is also called Lopud and is located in Lopud bay. Sunj Bay – which is sandy – is located on the other side of the island. Lopud is easily reached from Dubrovnik. Jadrolinija have daily ferries to the island (one of which stops in Kolocep along the way and continues on to Sipan), which take 55 minutes/1 hour. It is possible to visit Lopud on a day trip from Dubrovnik using these ferries. There are a few sights on the island as well, including a number of churches from the 15th and 16th centuries. The remains of the Rector’s Palace and the ruins of a Fortress are worth a peek; there’s also a Monastery that overlooks the village of Lopud which was built in the 15th century. 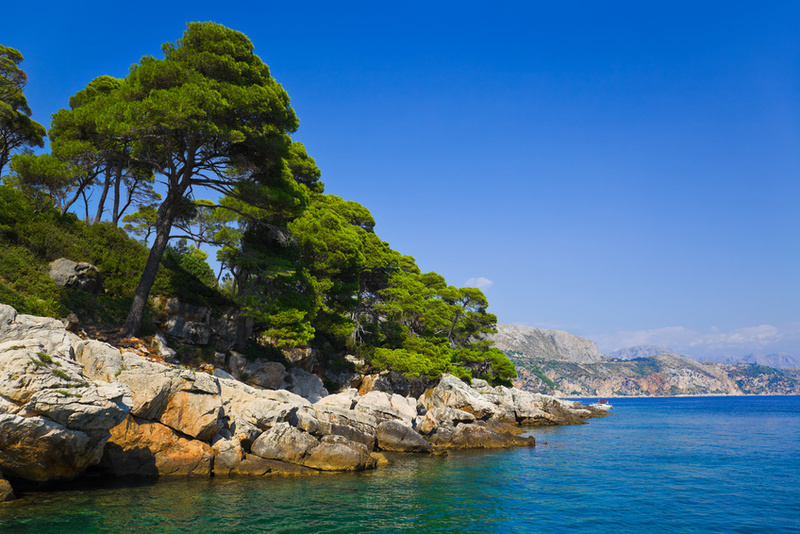 You can of course make a day trip over to Dubrovnik for your cultural and sightseeing fix – take one of the above mentioned ferries to get there and back. For a relatively small island, there are actually a reasonable number of accommodation options. One of the top hotels on the island is the 4-star, ultra modern and super-stylish Lafodia Sea Resort. There’s also the smaller but equally chic 4-star Villa Vilina and the 4-star Lopud Residence. The 3-star, historic Hotel Glavovic is located in the centre of the village of Lopud. Some private accommodation options are also available on the island. Check out our Accommodation on the Elafiti Islands section for more details.